Change Management - Is the 70% Failure Rate a Myth? Searching google for “70% failure rate” yields over 3.3 million results. There are countless studies, discussions and blog posts that focus on this 70% failure rate, why it occurs and who’s to blame. Some of those failure rates apply to change management and some apply to project outcomes so we’re not exactly talking about an apples to apples comparison between these studies. Heck, even I’ve quoted that rate based on a handful of the studies I’ve read. But is it a myth? Perhaps a better question is: Should we be measuring this “success and failure” rate at all? Keep in mind these statements are typically from the perspective of the change agent. The list of fixes is quite long but in all cases they follow linear, plan-driven thinking. Change is not linear and it isn’t governed by planning alone. The conclusion this researcher came to is that these studies downplay the qualitative evaluation of organizational change. I’d agree with that. Today’s organizations are too complex to attach a binary success or failure label on a complex project or organizational change initiative. Stating an organizational change initiative was a definitive success or failure doesn’t make much sense to me because I’d consider increasing employee happiness as a success even if a project they were working on was a complete disaster (as measured by being over budget and schedule and not hitting all the scope!). 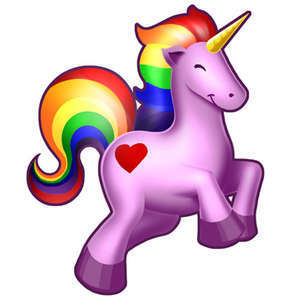 Is the 70% failure rate the rainbow coloured unicorn of the business world? The more I read about it, the more I think it is. I think emphasis on this number distracts people from change that matters. I think this number is a corner stone of how traditional change management vendors and consultants sell their clients a feeling of certainty instead of selling them a framework for how to adapt to changing business and organizational conditions. If your desire to change how your organization manages work and people is high, you need to develop your own framework for approaching change. Obviously I am biased towards Lean Change Management because it can help you do that. you cannot predict the outcome of change. you can reduce the threat response (AKA ‘change resistance’) by involving people ultimately affected by the change in the design of the change itself. It’s not for everyone. If you’d rather feel certain about a nice, tidy plan from Big Change Vendor A, go for it. I might work, it might not work. If it doesn’t work out, Big Change Vendor A is likely going to pin your tail on the rainbow coloured unicorn stat and tell you that you didn’t follow their recipe closely enough. Jason, I agree. The actual statistic is the 30% of change initiatives meet expectations – they are on time, on budget, and do what they set out to do. The 70% “failure” rate implies that anything short of success is a failure, which leaves no room for the fact that you can’t tell exactly how an organization will react to change until you change it. I wrote about this most misleading and exploited statistic about change here: http://www.enclaria.com/2011/05/31/the-most-misleading-and-exploited-statistic-about-change/. I just read your post, love the “change is a discovery process” quote! I like your comment about that 70% failure implies no success at all, I think people lose sight of that and miss seeing small successes that can add up over time. It’s all about timing. I just finished writing a post on the same thing. Yay for voice of reason! You’re making me rethink my tone — you have way less ‘snark’ than me. Great job. Thanks Jen, where’s the link to your post? I think I’d enjoy reading it! Awesome post! The point you made about success being a personal KPI is one of the reasons I wrote this post. Change is too dynamic to use an absolute success or failure indicator yet often that’s how the change sponsor is measured on his/her performance review. Joy of joys – these two posts, well written, made complete sense. Well done and keep up the great work.